Take your most perfectly fitting pant, Button up and lay the pants flat on the floor. Smooth the pants out so there is no bunching. Measure flat across the back waistband from one corner to the other. Double the number to get the actual waist size. * Make sure your pants are also facing up, with the front pockets facing the ceiling. 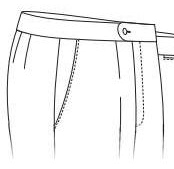 * If your pants are lying correctly, the front part of the waistband will be resting slightly below the back. Take your most perfectly fitting pant, Button up and lay the pants flat on the floor Measure across your pants at the base of the zipper. Make sure that you go to the edge of each seam. Once you’ve measured the front, double the number to get the whole measurement. 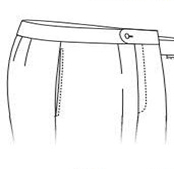 When measuring your pants on the floor, make sure to measure from the outer stitching of each seam. Take your most perfectly fitting pant, Button up and lay the pants flat on the floor to measure the front rise of your pants, start at the bottom center of the crotch seam (Where the pieces of fabric in your pant intersects). and measure up to the top of the waistband. Rises usually range from 7 inches to 12 inches. 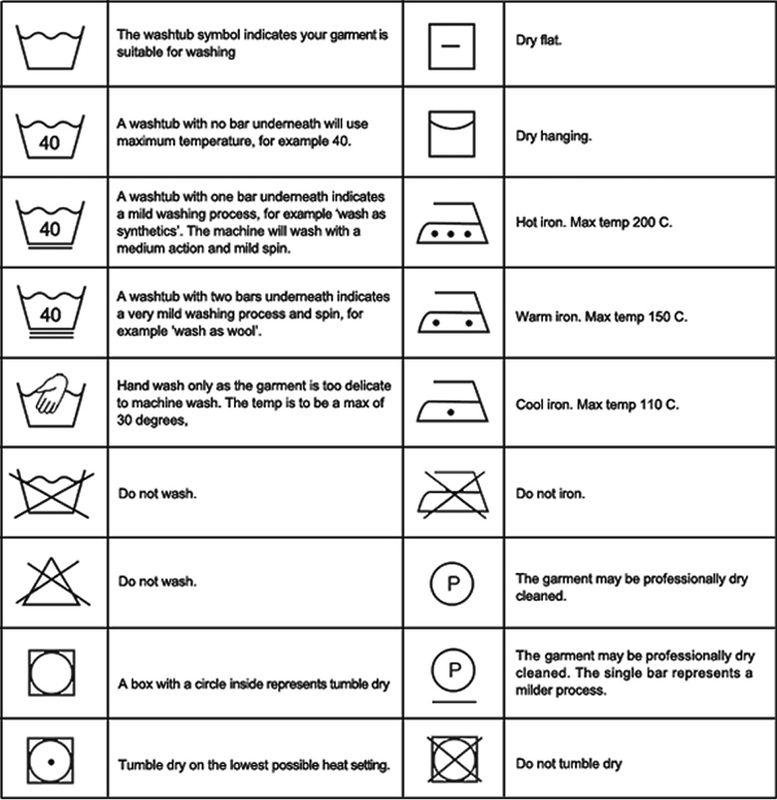 Take your most perfectly fitting pant, Button up the pants, Lay the pants out on a flat surface. Take care to pull any wrinkles and fullness from the back panel Measure the distance from the top of the waist band to the bottom of the hem. Take your most perfectly fitting pant, Button up the pants, Lay the pants out on a flat surface. The Thigh measurement is taken straight across the fullest part of the thigh. provide enough loose as you required. 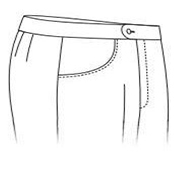 Take your most perfectly fitting pant, Button up the pants, Lay the pants out on a flat surface. Measure the distance across to the bottom of the hem.